Steven (Chicagoland, United States) on 10 February 2015 in Landscape & Rural and Portfolio. 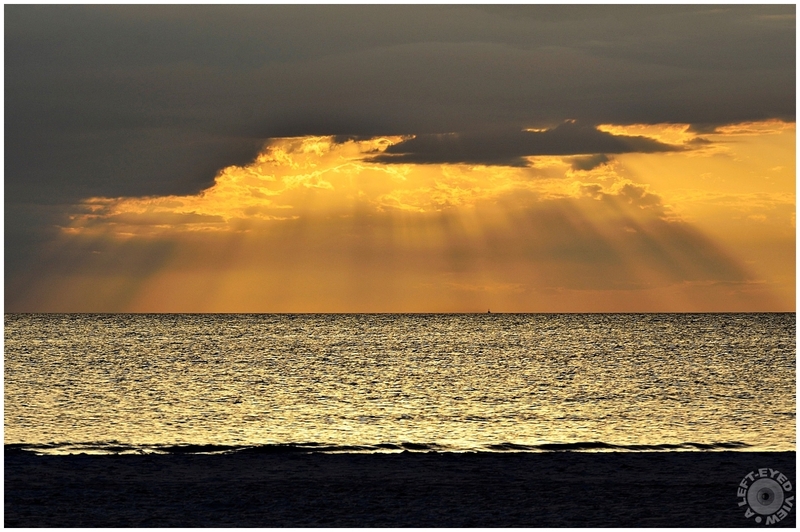 Crepuscular rays shine over Fort Myers Beach, Florida on March 15, 2012. Quel rayonnement et vue quel effet et ce ciel la mer superbe. Great shot and love the dramatic light. The rays make a very picturesque image of the sunlight below the heavy cloud bank. A wonderful image. Great capture of the rays. Lovely photo. I love the rays ... and what looks like a single boat on the horizon! Those shafts of light are wonderful! Un coucher de soleil en or ! Magnifique ! You caught a great one. An awesome sunset.... beautiful colors and the rays of light are always so cool... excellent! The rays of light and the golden colors of the water are jusrt spectacular ... Splendid image !!! Gorgeous light and color! This is just beautiful! I love the rays of light! The sun beaming in that certainly is glorious. Wonderful shot !! The rays of light is beautiful indeed. Stunning ... the heavens speak! You were there at the right time to capture the "evolving drama"! What happened afterwards?